In the 18 years that Kingfisher Tree Services has been looking after the tree needs of the people of Melbourne, we have seen a lot of changes in regulations, techniques, and the equipment we use to deliver our service. One of these has been the use of quality tree chipping equipment. Instead of having to cart large branches and trunks to a landfill, we now use a chipper into which we feed the branches. These, along with smaller diameter sections of the trunk, are then finely ground into wood chips that we can leave for you to be used as a fine forest mulch in your garden if you want, or to be used by others if we take it away for you. This is a much more cost-effective and environmentally friendly option than taking it to landfills (sometimes over several truckloads for big trees) and having to pay tip fees. Whole tree chipping is done as we go to minimise any safety issues and the impact on your site of having large branches scattered around the tree removal area. 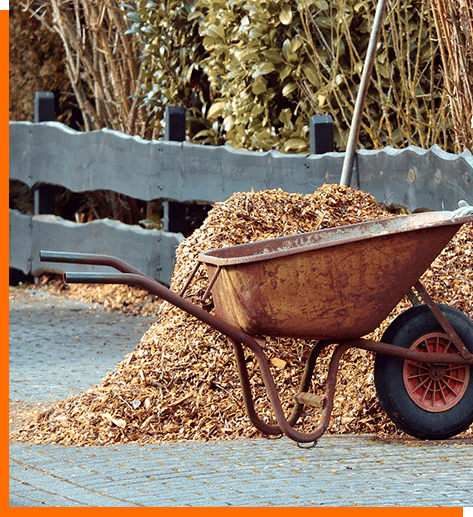 If you have other branches or green waste on your property, point them out to us, and we will include their chipping in our quote. It looks good – people actually buy wood chips to put around their gardens! Of course, keeping some or all of the chips is up to you. We include their removal in our quote. Our fully insured and professional Kingfisher Tree Services team welcomes yourcall today on 0458 733 489 to discuss your Melbourne tree services needs and to arrange a no-obligation quote.